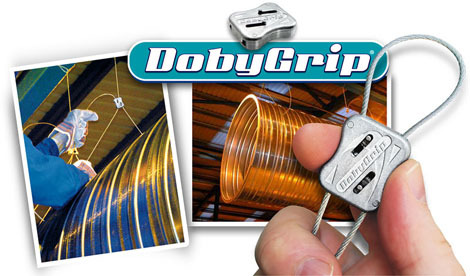 The DobyGrip wire suspension system is cutting the cost and time for installation of static loads. With a unique ergonomic design and simple external height adjusters the DobyGrip locker drastically reduces the expense compared to other methods of suspending loads. Designed and Produced by Doby Verrolec, part of the Heitkamp and Thumann Group, a world leading manufacturer of precision engineered components, you can rely on our quality, backed up with the service enjoyed by our growing customer base. So there’s no more need to transport bulky channel and studding, measure, cut, screw, adjust! All of this can be replaced with a DobyGrip Wire Rope Suspension kit with your needs in mind. Why not take a look now at our extensive hanging system range of sizes and fixing options, just click from here to the other accessory pages. So what are you waiting for? Join the wire suspension revolution! Sign up today for your free sample and product updates.